Wind down for winter, in the heart of the winelands, with a roaring fire place and a glass of Avondale Samsara Syrah 2009 ‘Decade Edition’ at FABER restaurant for our FABER FRIDAY – Venison and Shiraz Special at R225 per person. Guests will receive our famous FABER welcome of bubbly and a breadboard, followed by FABER’s Venison dish of the week and a glass of Avondale’s Samsara Syrah 2009 Decade Edition. 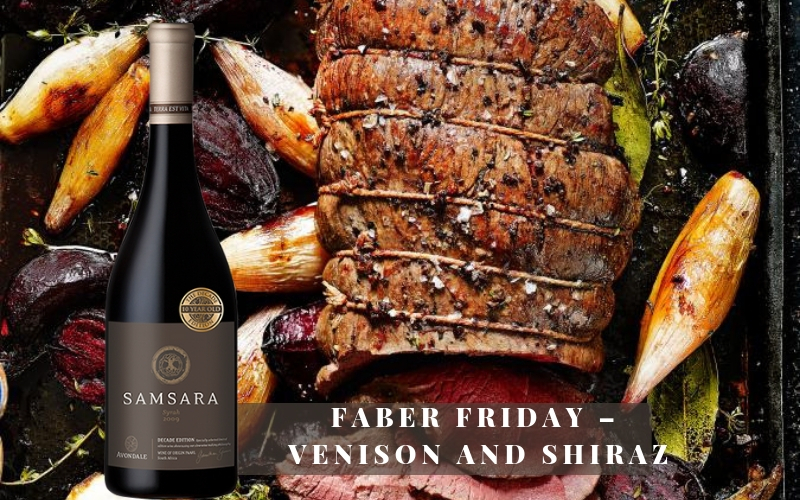 Our FABER FRIDAY – Shiraz & Venison promotion is available every Friday evening between 18h30 and 20h00, from 3rd May to 24th June 2019.